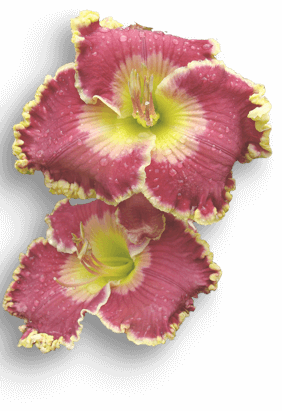 Each typical flower has six stamens attached at the base of the petals. 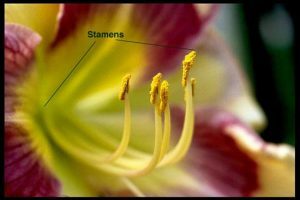 Each stamen has a stalk called the filament that ends with a two-lobed anther filled with dust-like yellow pollen. The pollen is haploid and contains the sperm cells. Also see: Anther, Filament, Haploid, Petals.